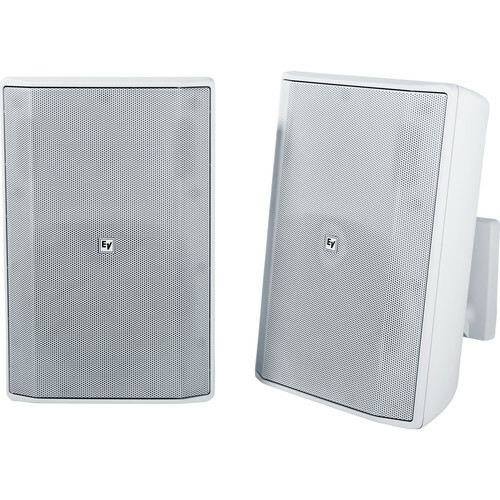 The white Electro-Voice EVID-S8.2T is a pair of 8” 2-way 70/100V commercial loudspeakers designed to provide full-range sound reproduction and even coverage for system designers, installers, and audio engineers configuring systems for paging and background and foreground music in stores, clubs, eateries, schools, and more. 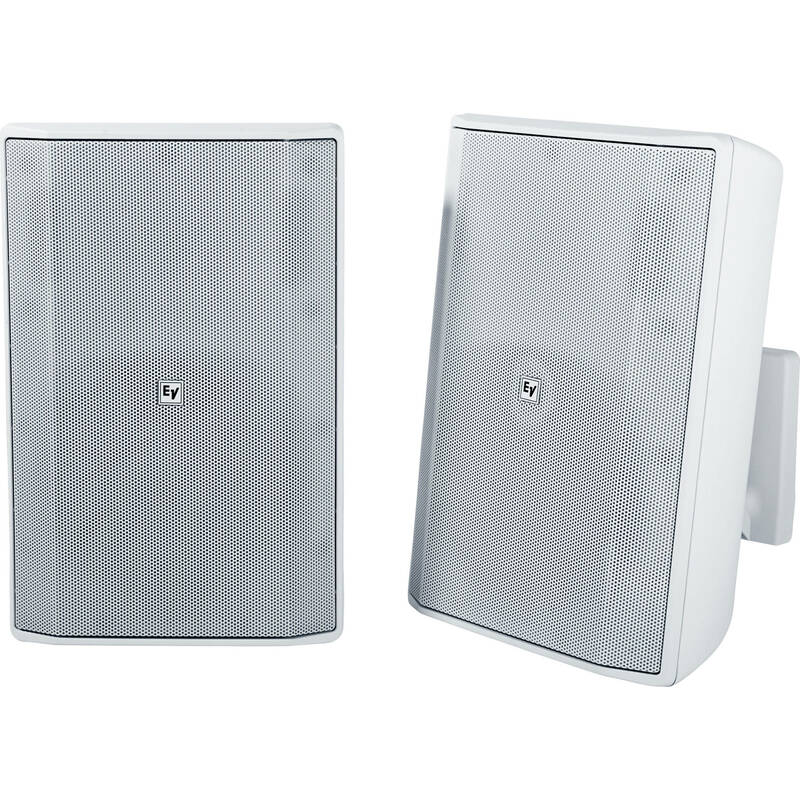 Each speaker is IP54-certified for weather-resistant use outdoors and features a fire-rated ABS plastic enclosure. A pre-assembled mounting system and supplied mounting hardware enable simple and efficient setup. A removable, locking 4-pin Euroblock connector allows for compatibility with commercial amplifiers. The 8” woofer and 1” high-frequency driver yield a frequency response of 50 Hz to 20 kHz. With a 110 dB maximum SPL and a coverage area of 90° by 90°, the EVID-S8.2T speakers deliver consistent audibility and even sound distribution. Box Dimensions (LxWxH) 20.8 x 18.3 x 15.1"